Would we invent the Labour Party today, if it didn’t already exist? This is a question that has actually never occurred to me. I think that’s because I have never doubted the relevance of my Socialism, or the need for a political party that represents the interests of the poor and the working classes against the excesses of capital. Put quite simply for as long as society is run in the interests of the powerful few, there will always be a need for a ‘Party of Labour’. Whether the left or the right would invent it is neither here nor there. Ordinary working people would. They would have no option. How else would working people defend their living standards and have a voice in society, unless they organised politically. This does not ignore the fact that society is different today than it was in 1900, or 1945. Of course there are different challenges today. However, I believe the principles that led to the birth of the Labour movement offer the best hope of overcoming them. This isn’t harking back to a world that no longer exists. Nor is it about simply not wanting to be the Tories, or the Liberal’s. To suggest that the left are content to be powerless and principled purists is patronising. The question is why do we want power? I would argue that Labour should want to win so that it can transform society not tinker with the status-quo. This is not anti-progress, this is real radicalism. Stella’s speech talks of not wanting to prop-up failed industries or write off innovation. I agree, but tell me who is suggesting we should do either of those things? A radical Labour government would have, as its guiding principle, the need to use new technologies to make the lives of all the people better, rather than increasing the profits of the few. It would develop new models of public ownership that democratise the workplace. This would ensure that, if restructuring or diversification is necessary, decisions are made with the knowledge and consent of the communities affected. The narrative that society has changed to such an extent, that these ideals are no longer relevant, is its self rapidly becoming outdated. Look around you. As a result of the downturn in the global economy we are seeing a concerted effort by capital to take back all that Labour has gained. Yes material wealth has increased in the last forty years, but only a fraction of it ever escapes the clutches of the one percent. Those in work are not able to share in the full fruits of their labour, with an increasing number of working poor relying on food banks. Then there are those denied work through poor education, poverty or simply because no jobs are available. Stella correctly points out that the National Health Service needs to change. Our population is ageing as a result of advances in medicine. However, the quality of those added years is diminished by chronic illness. Sadly we know that poverty shaves years off life expectancy, with the poorest in society unable to reach their potential. Yes it’s true that the diseases the NHS was set up to tackle have largely gone away, but they have been replaced with even bigger challenges. The evil’s of poverty, ignorance and disease are depressingly still alive and kicking. I believe that voters see this. I believe they want and deserve a Labour Party true to those same socialist principles that drove it’s founders to organise themselves all those years ago. What else could explain the rapid surge in party membership before and after the election of Jeremy Corbyn? 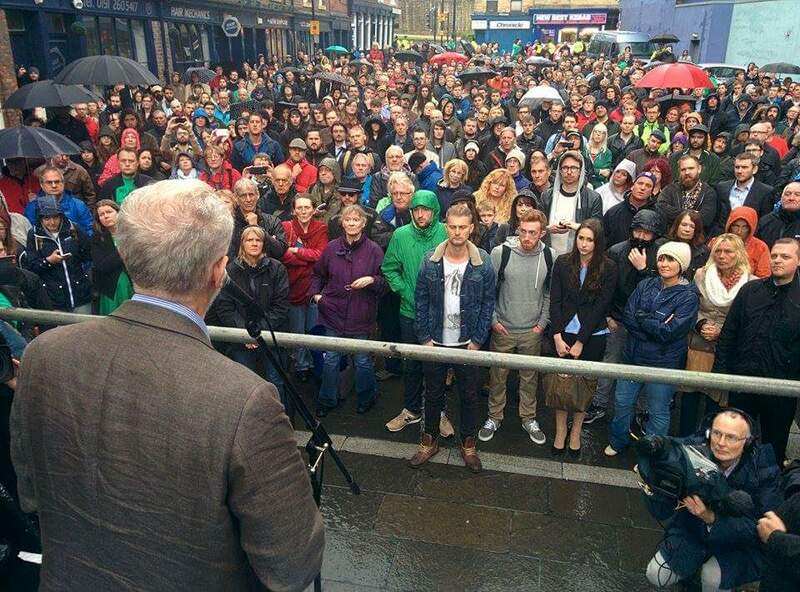 Why the huge queues to attend his meetings? Is this not evidence of a public disillusioned with the same old consensus and yearning for the radical alternative that Jeremy represents? We need to recognise that we are witnessing something genuinely historic here. There is an awakening in Spain, Italy, Portugal, Greece and even the United States. We are witnessing the rise of leftist ideas and the rejection of capitalism by voters in their millions. Are we to believe this is irrelevant? Of course it isn’t. Yes the Tories won the election in 2010, but only the most superficial analysis would conclude that this result was a mandate for their economic vision. To argue it was fails to recognise the fact that a large proportion of Labour supporters either abstained or voted for the Scottish Nationalists, who were offering a far more left wing alternative to Labour. The logical conclusion of such an analysis is to continue to compete with the Conservatives for a vanishingly small constituency. Instead shouldn’t we be offering an alternative that appeals to the 75% who didn’t vote Tory? 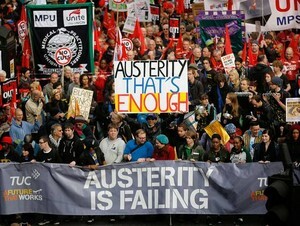 Can we convince the British electorate to vote for a left-wing agenda? According to a study carried out by researchers at the University of Sussex and Queen Mary University of London there’s hope that we can. In this study, when asked to consider the individual policies on offer, voters of all political parties tended to favour those deemed to be the most left-wing. In short Labour needs to connect the dots for those voters who identify with left-wing ideals, but couldn’t bring themselves to vote Labour in 2010. 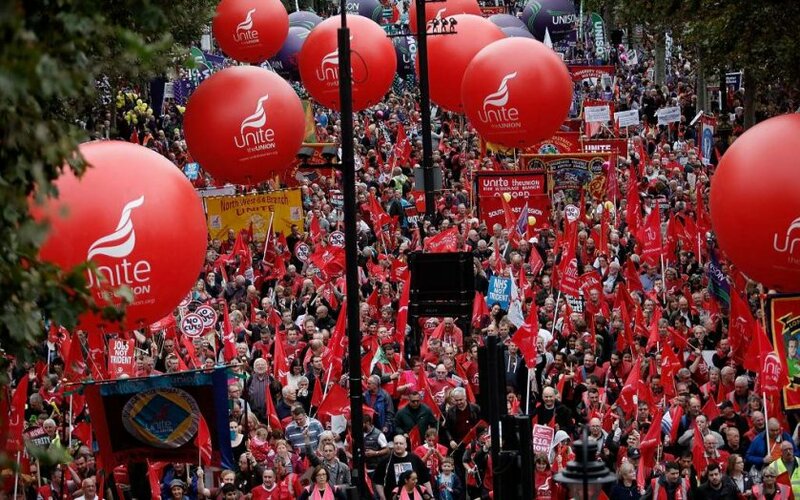 Labour needs to be on the side of all those struggling against austerity, anti-trade union legislation, privatisation and cuts to public services, while at the same time pointing out that these attacks are all part of the same Conservative political agenda. 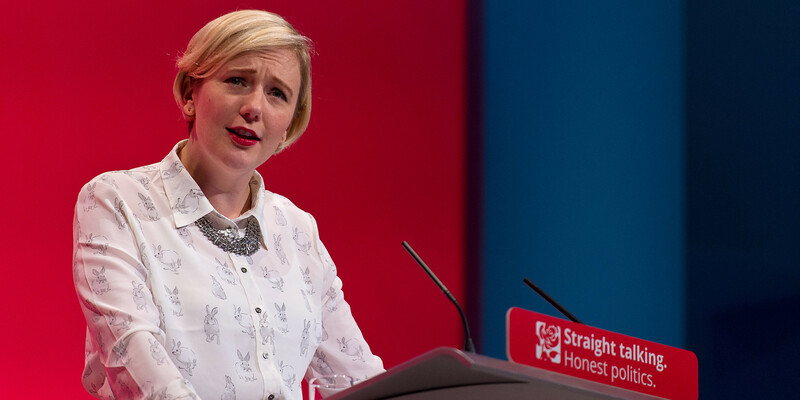 I agree with Stella Creasy that our alternative should be based, not on a government that simply shields people from the effects of government policy, but on a radically different programme that rejects their austerity narrative outright. Maybe there is now scope to discuss what Labour’s radical new vision should include. I believe Labour’s socialist programme should be based on a reordering of societies priorities. We should argue that the nations wealth should be spent on health, education and skills; not on weapons of mass destruction that we never intend to use. We should argue for greater wealth redistribution and equality of opportunity and the democratisation of public ownership. Ours should be an economy that utilises it’s resources in a coherent planned way. We should look to eliminate waste to protect the environment and the benefits realised should enhance the lives of all our citizens; with nobody left behind. This would be a truly inspirational vision and a society worth voting for. I believe it’s the kind of society all of us in the Party want. Some have convinced themselves it’s not possible. To them I simply ask why not?